One of Australia’s leading contemporary artists, Whelan totally reinvents the landscape genre with his futuristic, vibrant and oh-so-cool skyscapes. It seems apt that these sublime and wandering cloud scenes should be originated in Australia with its endless horizons and vast open skies, although Whelan imagines his sky scenes, plucking storms and swirling clouds from his minds eye. Stay tuned for more information on this breath taking new show, coming soon. CHINA HEIGHTS GALLERY, SYDNEY. AUSTRALIA. Echoes of Brooklyn Whelan’s earlier incarnation as a creative director can be found in his new solo show, Strike Now Riot Later. 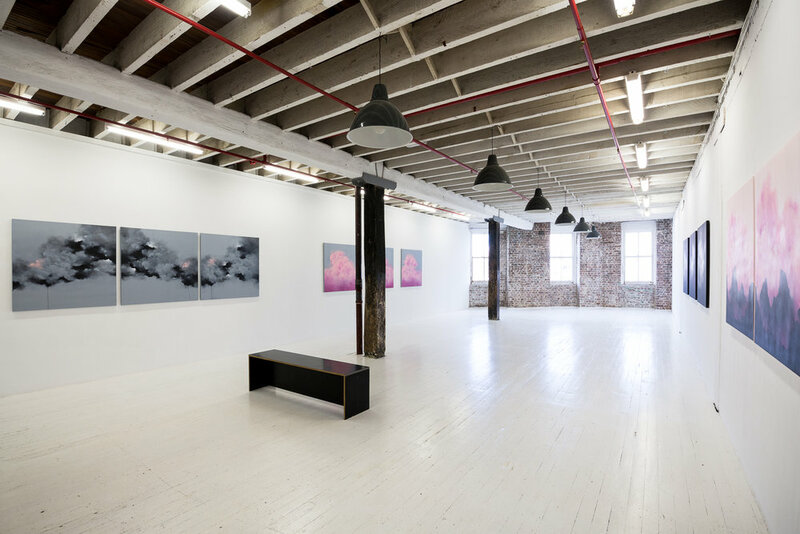 He demonstrates an understanding of the structural flow and sweeping rhythm of popular culture as, in some works, the clouds float from one canvas to the next. A delicate balance between urban scrawl and gallery, the paintings drift along an ephemeral line between abstract and real, gestural mark making and meticulous rendering, stylistic boldness and nuanced composition. These are works of a reduced palette, but containing unexpected flashes of colour – they’re so thoughtfully considered that there is both a richness and a subtlety to them, a sense of instinctual harmony and muted beauty. Zero Three is a large scale video mapping project - the idea behind it, was to showcase my work as moving imagery which would normally stay static and previewed in a gallery setting. 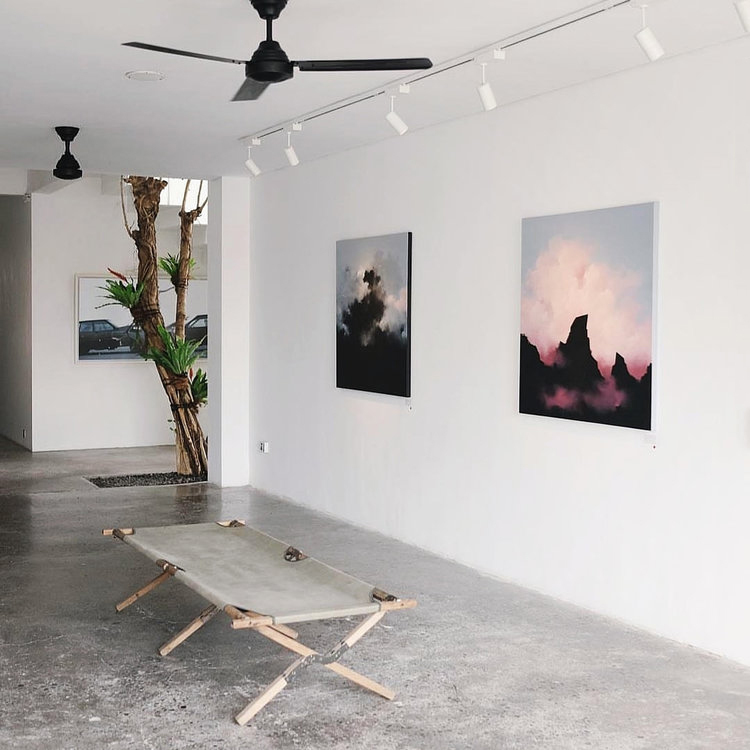 My latest solo show is presented by the China Heights gallery at The Slow in Canggu, Bali. Saturday 17th Feb 2018. Issue out September 2017 or view online here. ‘Pushing Past’ by Sydney based painter Brooklyn Whelan is a body of work which stems from a dialogue and study of storms, weather patterns and their relationship to the earth beneath. 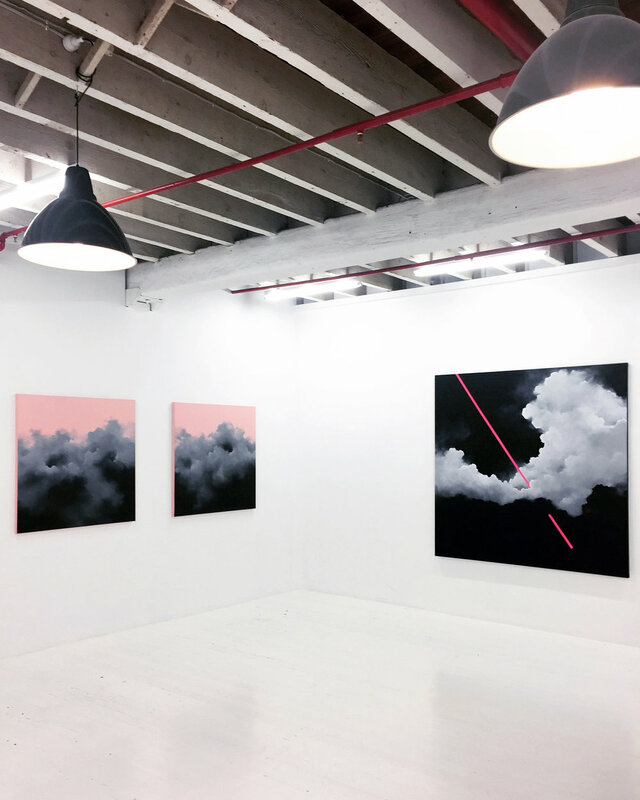 Whelan creates sci-fi inspired, ethereal and minimal compositions with his use of acrylic on canvas; and continues his examination of moving sky masses and the friction of clouds with his motif palette of pinks, greys and blacks.